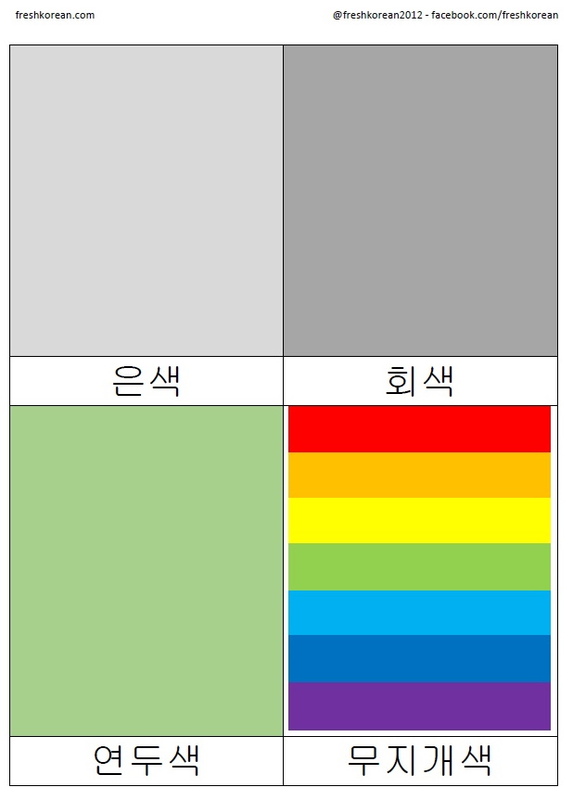 It’s been a while since our last free Korean resource so to make up for lost time here are 16 Korean Color Flashcards. Learning the different colors is useful in any language and can help in numerous situations from general conversation, to shopping and even when asking for directions. These flashcards are useful for both young and old learners of Korean and best of all they’re free. 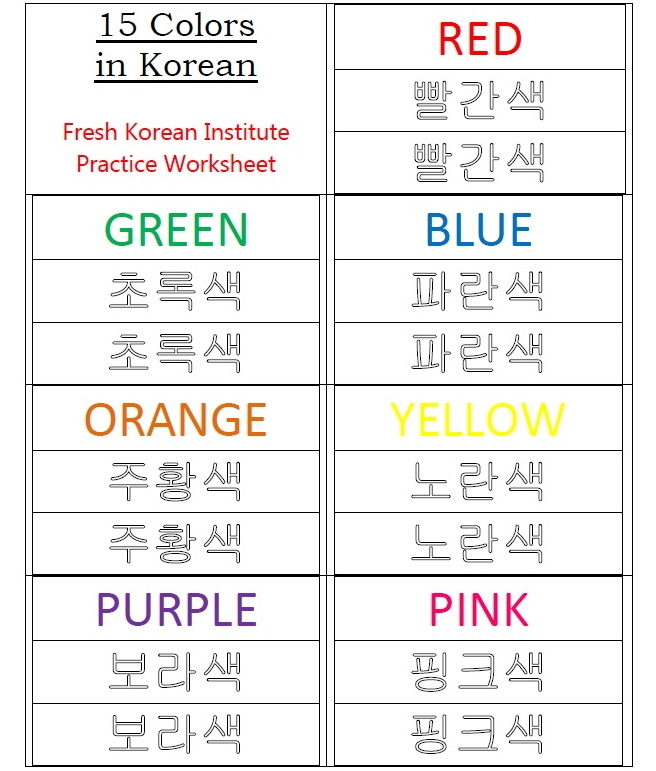 Has is another of our combo worksheets that combine both Korean vocabulary and writing. 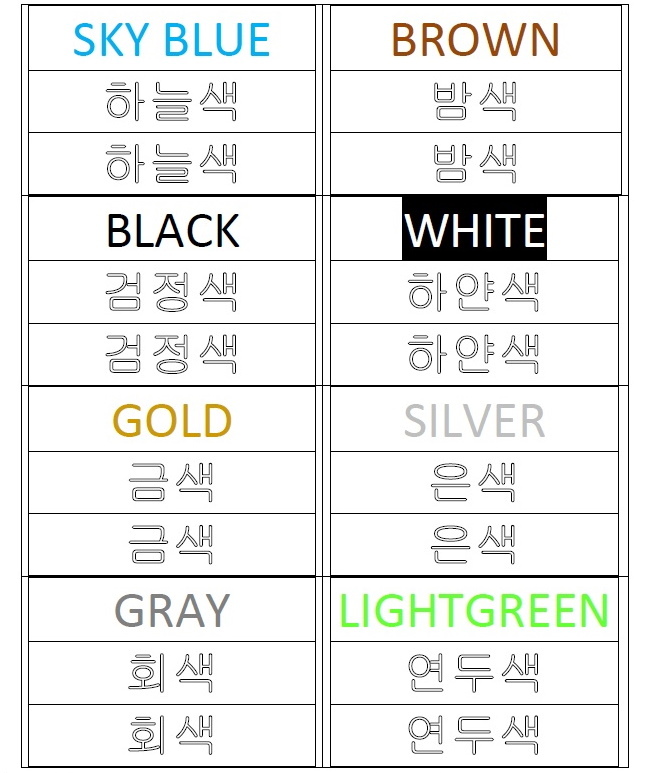 This worksheet is related to colors and includes 15 of the most used colors from Red all the way though the rainbow to Gold. We hope we’ve enjoyed learning a little Korean with us today and if you have any questions, comments and/or requests please feel free to let us know. 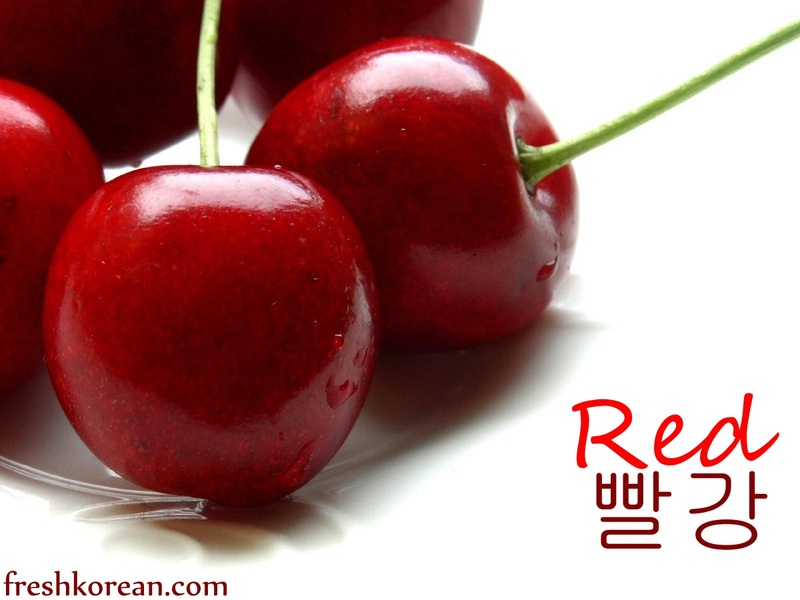 Welcome to the start of another Fresh Korean Word of the Day week. 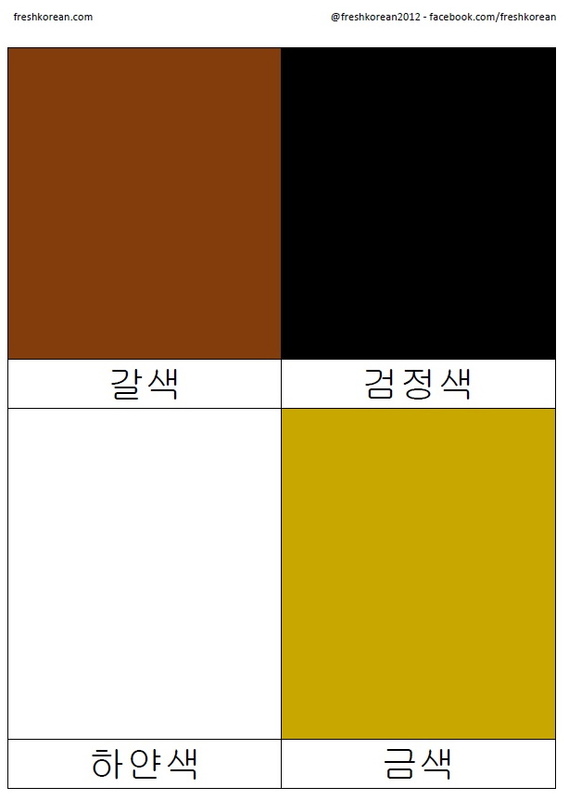 This week we will be focusing on colors plus different things related to those colors. 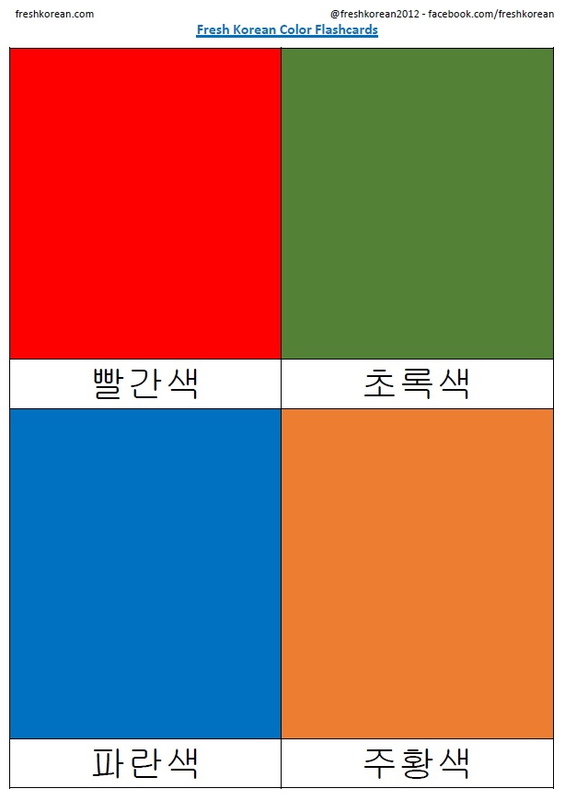 The first color is Red or 빨강 in Korean. Thank you your time and we’re looking forward to seeing you again for color number two.